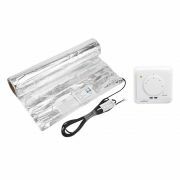 Quick and easy to install, the Cosytoes electric underfloor heating mat creates a luxuriously warm floor. It features a fixed cable space that provides a pleasant even spread of warmth over the floor surface. The manual thermostat allows you to easily control when your heating will come on and go off, as well as the desired temperature too. 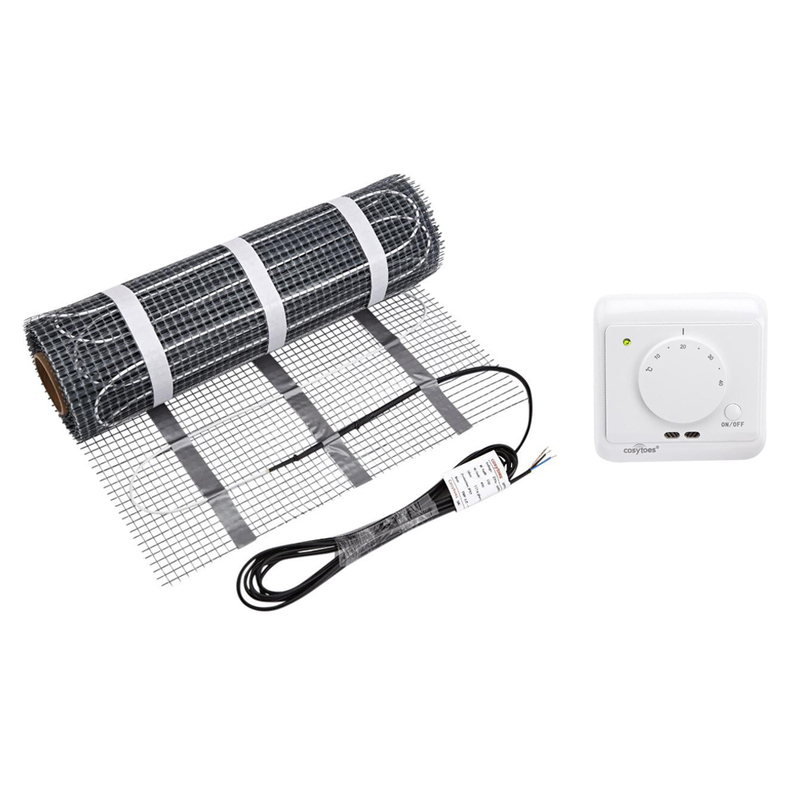 It comes with a floor probe, which you install in the adhesive layer of the heating mat, in the middle of two cables.